Welcome To JayBleeng's Official Website. Jibril Anifowoshe AKA JAYBLEENG Is a Handsome, talented and promising Afrobeat singer and producer. Born in Lagos and of Nigerian and American heritage, his diverse form of music is spellbinding and his versatility to weave wit his lyrics on the rhythm is hypnotic. JAYBLEENG resides in St. Louis Missouri USA. Has an associate degree & currently pursuing a Bachelors in Economics and Cyber Security (Grad. Date. Dec. 2018.) at the University Of Missouri-St. Louis. 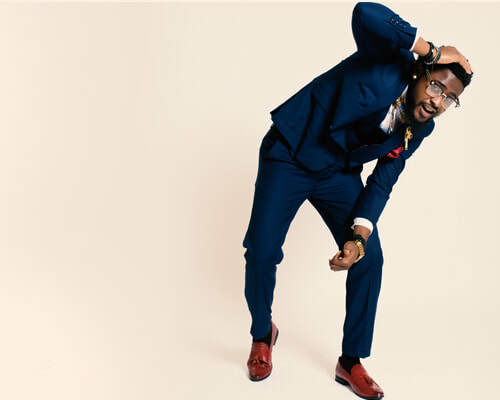 JAYBLEENG has recorded several singles to his name and recenty released his first studio album titled “Bed Of Roses” he has been rewarded with several accomplishments, awards, and recognitions all around the world; he recently clinched an award at the STL Music Award show. Prior to that, he was named as the Missouri number one listed Afro-Pop Star. Upon completing a 6 cities USA tour, he traveled back to Nigeria to enlarge his fan base and to gain ground musically, doing shows, interviews, and social outings, and now back to the USA to live up his musical dreams. JAYBLEENG is an emerging brand and yet ferociously zealous, he has.... Click [HERE] to READ MORE. Bleeng City releases the Official Video for ON FIRE. Remember to follow JayBleeng on all social media platform using [@JayBleeng] and follow Bleeng City using [@BleengCity] Click [HERE] to watch the NEW MUSIC VIDEO FOR “ ON FIRE ." Click [HERE] to watch the TRAILER.